Dots Per Inch (DPI) refers to the output resolution of a printer, basically the number of dots your printer can fit into one square inch on a piece of paper. The more dots per inch that a printer can produce, means the greater the detail your image will have when printed. For those who require vivid, detailed prints in their work, selecting a printer with a higher DPI rating is ideal. For most business printing needs a DPI of 600-1200 will do the trick. For those looking to print professional grade photos, you’ll want a higher DPI. Pages Per Minute (PPM) is the rating which identifies the speed at which that particular printer can produce a standard size (8.5 x 11) page of text in black ink. It should be noted that this does not account for speeds of color prints, a combination of black text and color, or pages printed on larger than standard letter size paper. Also, to make speed appear faster some manufacturers may use a number that refers to pages printed in draft mode (a more economical printing choice that uses less ink and hence prints at a faster speed). Depending on your printing needs, particularly if you are printing large documents, you’ll want a printer with a faster PPM rating. All business printers and some personal printers will include a number that indicates the maximum number of pages the printer can handle producing per month, without failing or running into trouble. Knowing this number will indicate whether or not the printer you are considering is able to handle your business needs or personal needs in a given month. If you need to produce heavy volumes of printed documents, you’ll want to get a printer with a higher duty cycle rating, preferably one that exceeds the number of pages you predict you’ll need. The duty cycle number is indicative of the printer’s durability – with the higher duty cycle rating typically matching the quality of the printer itself. If you need a printer simply for personal use to print documents here and there, the monthly duty cycle will not be as much of a concern for you. Duplexing is the printer term for two-sided printing. It’s a great feature to look for when considering a printer because it cuts ongoing paper consumption in half. This means spending less in paper costs and also, being environmentally conscious. Automatic duplexing is the way to go because the printer will automatically “flip” the page. 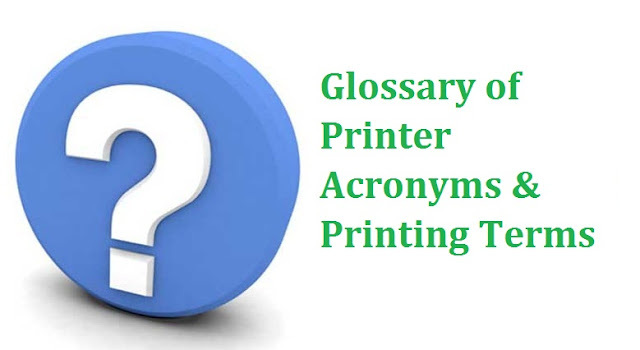 There are some printers that offer manual duplexing, so you’ll be prompted to rotate and reload the page so it can print on the second side – however, this can be time consuming and a hassle. If you’ll be printing double sided quite a bit, then definitely opt for a printer with automatic duplexing. Some printers offer users the ability to print on thicker stock paper or other special media (ex. envelopes) by manually feeding it through a slot in the printer (i.e. the Manual Feed Slot). This is a great feature supposing you need to occasionally print these items. However, if you’re looking to use this feature more often than not, you’d be better served finding a printer that has a dedicated media tray for the type of documents you will require more frequently. Many multifunction printers come with an automatic document feeder (ADF) on top, which lets users complete faxing, scanning and copying jobs unattended. Simply load the multipage doc into the document feeder and it’ll pull the pages through to complete the job. Some models also come with a Duplex ADF – that allows users to work with both sides of a page, with simply one pass. This feature is great for high volume offices that require multiple prints of multipage documents. For those smaller business owners or at home printers who do not copy, fax or scan large documents regularly, the feature may not be necessary. While we have mentioned only a few specs that you’ll find when searching for a printer, the aforementioned are often what people look for and want in terms of functionality. As Managed Print Services providers, PrinterWorks West is well versed in assessing office print environments and supplying solutions that optimize workflows and also help reduce ongoing costs. If you’d like to learn more about Managed Print Services and how they can help your business, please feel free to contact at this link.